Ryan Holland Group is a group of Real Estate related companies with the ability to lower the expenses around buying and/or selling your home. Ryan got his start in the business when he created BC’s Best Move. Since 2013, Best Move has accomplished a staggering 2000 + moves! Recently Ryan Holland teamed up with RE/MAX Colonial Pacific, which puts him in a unique position within the Real Estate industry. Not only can Ryan sell your home or find your dream home, he can save you the time and stress of finding a reputable moving company and offer those services for FREE*. *Upon the successful purchase or sale of your home. 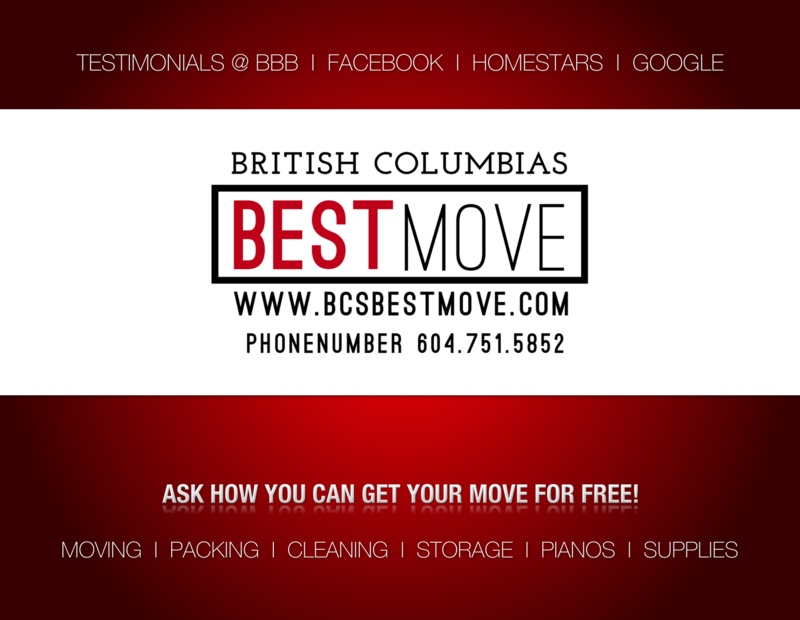 Free move on local BC moves up to $5000. Not including packing services, piano moving, packing supplies, storage or ferry charges. Sean and Drew were amazing. Our move went super smooth. They made this move so easy and with zero stress. Will totally use them again and recommend bc best move to everyone. I would highly recommend BC’s Best Move. They were courteous and professional. Due to construction delays, I had to postpone my move over and over again. Ryan and the team just rolled with it and were very accommodating to my situation. They made the whole process easy from start to finish. Atish and Derek were polite when they arrived and worked well as a team together. It was clear from the start that these guys were a different type of company, very upbeat and positive. They took good care of all our belongings, padded every piece of furniture, packed them well in the truck, and handled them, in the same way, I would have…all while having fun doing it. I hope not to move for a long time, but when I do, I’ll be calling BC’s Best Move again. What an incredible experience! Ryan and his team moved us from Langley to Calgary. It could not have been any smoother! They took the stress right out of the equation: on time, efficient and easy! WOW! Looking to Make A Move? Have a Question? Get in Touch!